Welcome! 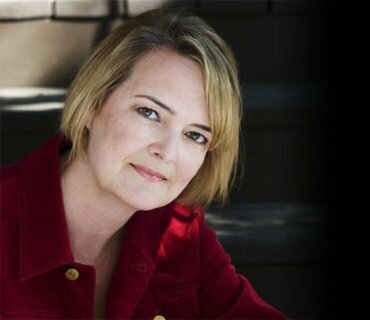 I'm Karen M. Black and I'm a Toronto writer. Professionally, I have an MBA from Rotman in Toronto. I work as a plain language writer and consultant for the financial and insurance industries. Different from this site huh? Let's just say I'm curious and eclectic...and I like untangling complexity. Personally, I've been on a journey of spiritual awakening for a while now. At first, rather quietly. And then, publicly. The truth is, I never planned on making this journey. This humble site documents my own spiritual awakening. I began writing creatively to gain insights into myself. I published because I realized that sharing helped others...and it also helped me feel less alone. Here, I've written on a variety of topics, from the Physical Signs of Spiritual Awakening, and Karmic Astrology to Soulmate Theory. I've summarized some of the fascinating findings of American clairvoyant Edgar Cayce, and have tackled more elusive topics such as Wanting to Go Home, How to Become Enlightened, what the 2012 Changes really mean and a more rational take on the hotly-debated Christian new age concept of Ascension. Over a decade ago (on the weekends while working full-time) I wrote my spiritual awakening novel Moondance. Along the way, I also created this site Heart Explorations and the (now retired) Soulmate Site to explore questions about relationships and karma. While writing Moondance, I was also studying karmic (North Node, or Soul Purpose) astrology. 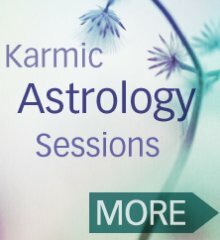 When I felt solid in my knowledge, I began offering private karmic astrology sessions to fellow Heart Explorers. I've always been a curious person. 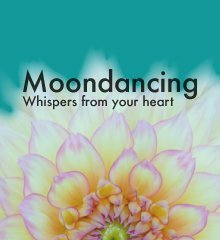 My own spiritual awakening began with questions about my emotional life, which I captured in my book Moondance. But it didn't stop there... it continued to deeper awakening about health, the financial system, the nature of reality, natural (cosmic) law, imagination and much more. Over the past decade, I've traveled down some rabbit holes. Some sinkholes, too. So I'm very aware of what's out there on the fringe, in all of its forms. But! While exploring these roads less traveled, I've kept my feet on the ground. What I publish here may not be your final answers. Some might not even be your questions. But I believe that some of you will discover a facet of your heart here. A like, curious mind. Perhaps, a place to look next, or a way to swim through your own awakening sea. Perhaps my words will offer an idea that helps you decide for yourself. Or simply something that inspires you to keep seeking. Keep seeking. While holding it all lightly: this is the key. I write about the mysteries of life that are hidden in plain view. Secrets that are ripe for you to find them. Try them on, layer by layer. Here, I share my own Heart Explorations. To help you recognize the changes in yourself that you're already sensing. To help you find meaning in it all. What I write about may challenge your thinking. It may even shatter your world. Believe me, I've been shattered a few times. Sometimes I grieved for many months, as old truths fell away. You see, there's a shift going on - and a critical choice to be made. Your heart knows this on some level. That's why you're reading now. If you seek to know the truth, your heart will transform. You will seed the roots of knowing. More layers will slip away, and you'll open even more. Do not believe what I believe. Do not believe the sources I share on this site. Think for yourself. But perhaps, consider. Sit with it a while...feel it out. Tears mean yes. Relief means Yes. Feeling understood means Yes. Expansion, warmth, a pulling-up means Yes. And still, keep seeking. You are not imagining it. You are changing. So is the earth. And this shift is as big as it gets. There's a reason for it all. I'm not sure if we're meant to know all at once. For now, know that these changes are both meaningful – and natural. Enlightenment must come from within. It cannot be taught, bestowed or given to you by another (and beware of those who say they can). It's not a system. Or a program. A list of rules. Or a-step-by-step process. If you want to become enlightened as you awaken, you must seek. You may be feeling as if you're living two lives. In other words, what you do is no longer who you are. You don't know how to fix it but you want to. You may be feeling bored, dissatisfied, restless. As if a fire is rising up inside you, questioning everything. Well done! Now keep going. Find out why. You may be interested in deepening your relationships, even finding your soulmate. This is not a romantic notion. You sense that your partner... will be the one who assists you in becoming more whole yourself. Do you have a purposeful fire in your belly? Some of you have been at this game a while, up-shift after up-shift. You may have chosen to use your gifts in service to others to support the evolution of consciousness. Some of you have a relentless vision, a Big Dream that will rock the world. To all of you I say, welcome! You are here to Help. To make a difference, in your own unique way. Like me, you are a Heart Explorer. This is your invitation: are you a Heart Explorer? Heart Explorers have chosen to walk their unique path in life. They're free-thinkers. They consider the signs around them when pondering their next move. They follow their own inner compass. They trust their intuition...and imagination. They balance their heads and their hearts. They seek truth. They seek meaning. They seek freedom and sovereignty (i.e. they follow and rule only themselves). If you are a Heart Explorer, your path will be different than mine. Your talents will be different. Your conclusions about truth may be different, too (ah paradox). But would you like some encouragement and inspiration along the way? Would you like to feel less alone in your journey? If you resonate with my words, consider signing up by following the link below. If you do, you'll receive my soul letter MOONDANCING free ($97 value). WHAT'S MOONDANCING? It's my soul letter for Heart Explorers. It's my personal explorations... laced with universal threads. The MOON symbolizes your heart. The DANCE is about flowing with the cycles and rhythms of life. Will you SAY YES to your own Heart Dance?